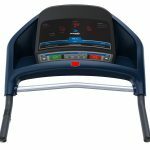 Home Information Back and Neck Pain, Treadmill? Isn’t it unpleasant when you’re suffering from back and neck pain? Don’t worry. 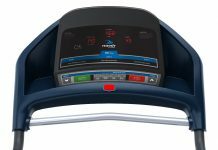 You can easily get a remedy for your back and neck pain by walking on a treadmill. Regular exercise can solve many health problems in an effective way. It can be worse if you lose control over it. In that case, Exercise is a good solution. 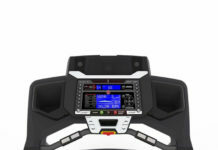 Offers you a way to control your workout. 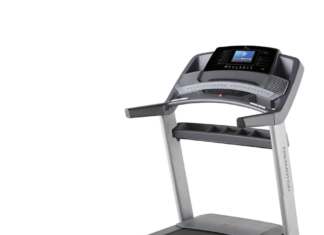 A treadmill is a popular home exercise equipment. People who are out of shape or getting back into workouts, Can be a good solution to them. It services low-impact aerobic activities. These activities can give you more benefit than walking on a sidewalk or a track. You can control the speed and inclination settings according to your needs. 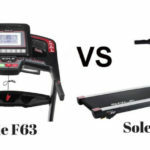 Thus you can workout to a more challenging way gradually. 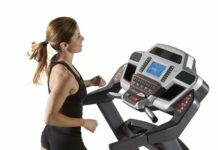 Treadmill for Back and Neck Pain? Back pain and neck pain are very common and unpleasant issue in our daily life. You can’t bend down or run or workout or feel comfortable. 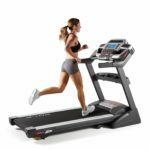 So, treadmills walking can be a perfect solution for you. It is the best exercise for easing both back and neck pain. It can also prevent newer injuries. Exercise is a safe, gentle way to develop your bone health. They give strength to the spine. Moreover, you will be able to lose excess weight that causes back and neck pains. Walking on stimulates your brain. So, the brain can release pain curing hormones. Low back pain is a critical health problem. It is difficult to recover from the pain completely. But its effect can be minimized by exercising in an effective way. The most effective way to recover is gentle workouts like swimming or walking. These workouts help your brain to stimulate. When the brain gets stimulated, it releases endorphin. Endorphin is an essential hormone that encounters pain. Moreover, it strengthens the muscles which support the structure of your back. Exercising on improves the strength, flexibility, stability of your spine. Maintain an upright pose on. Keep your head centered above the spine. Keep your shoulders down. Not let them rise up towards your ear. Keep your elbows bent gently along the sides of your body. 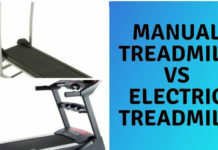 Try to avoid using the treadmills rail. Using rail can cause upper body tension causing neck pain. Put on toe closed athletic issues before getting on. Before starting, stretch the muscles gently for a few minutes. 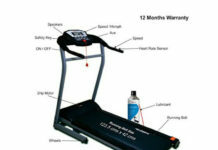 Start at a slow speed at first and gradually increase the speed to a moderate pace. Don’t increase the machines speed so high. This is very risky for your back and neck joints. Don’t hold onto the guard rails because this may cause injuries. 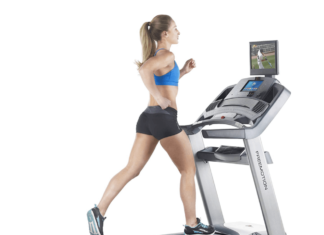 Your gait should be natural and easy. Walk on the like you were walking outside. Keep the inclination of flat. So, it won’t strain your back. Keep track of your heart rate. 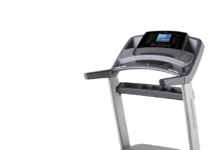 The treadmill is relatively cheap exercise equipment. Moreover, it has a predictable surface. So, you may easily negotiate than walking trails or sidewalks. It also reduces the risk of tripping. 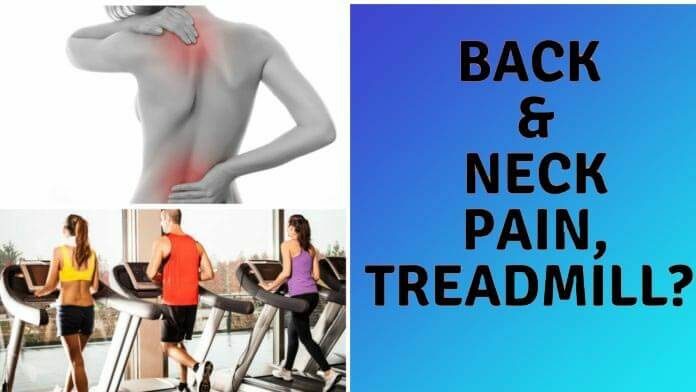 So, exercise by using to treat your back and neck pain. 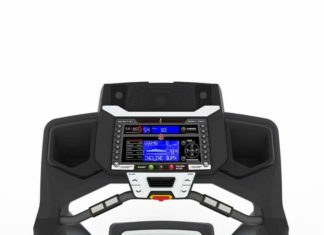 You can control the speed and inclination of the machine. You should use the machine with the proper pose and track your heart rate. Thus, you can effectively exercise on reduce your back and neck pain.